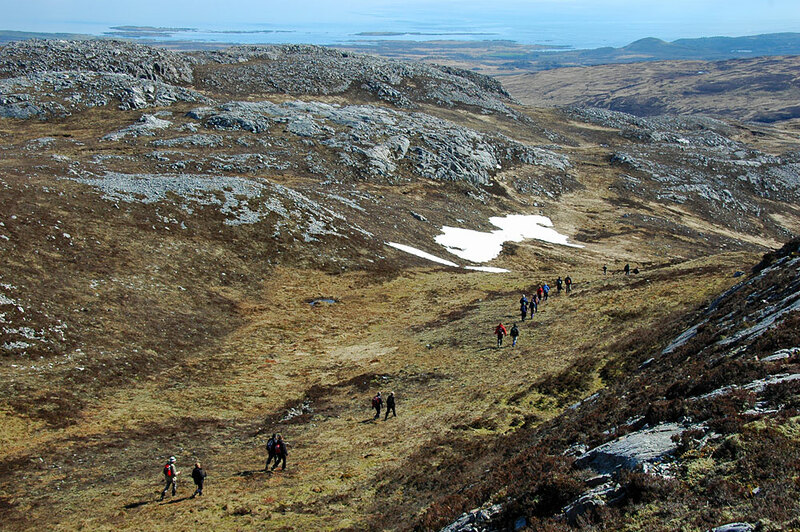 An impression from an Islay walking week a few years ago, walkers making their way through the southern hills above Castlehill. The southern skerries just visible on the horizon. The white patch is snow, that year some of the snow lasted well into April, a rare occurrence on Islay. This entry was posted in Landscape, Repost, Sunny Weather and tagged Castlehill, Islay, Southern Skerries by Armin Grewe. Bookmark the permalink.